(Natural News) One of the things that the liberals love to attack Donald Trump over is when the President famously declared that the mainstream media is the enemy of the people. Just a few days ago at the PEN America World Voices Festival, for instance, failed Democratic presidential nominee Hillary Clinton condemned Trump for making such an assertion, arguing that we are now “living through an all out war on truth, facts and reason.” But despite the attacks from the left, does President Trump have a point? Is the media really the enemy of the people? Indeed, the media today is not on the side of the American people; it is working against them, and in more ways than one. It wasn’t always like this, however. As a matter of fact, the whole reason why the Founding Fathers decided to include the “freedom of the press” in the Bill of Rights is because the press was intended to be a check on the government. The media – which mostly consisted of newspapers and magazines at the time – was the peoples’ source of the truth, and ultimately kept them informed as to what their elected officials were up to. Once armed with this information, the people could then make decisions as to which representatives they wanted to keep and which ones they wanted to vote out. Back in March of this year, the Media Research Center concluded that ABC, CBS and NBC evening newscasts in the months of January and February contained ten times more negative comments about President Trump than positive statements. Additionally, out of 851 total on-air minutes devoted to Trump’s administration, these three networks spent nearly 25 percent of the time (or 204 minutes) talking about the Russia investigation. That’s quite a lot of coverage set aside for a story based on nothing but lies, don’t you think? 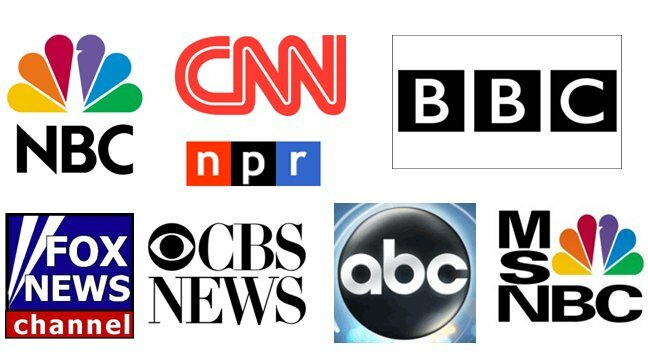 All that being said, the question that must be asked is as follows: how can the mainstream media possibly be anything but an enemy of the people if it is constantly – and intentionally – lying to the American people? See Journalism.news for news about the news industry.